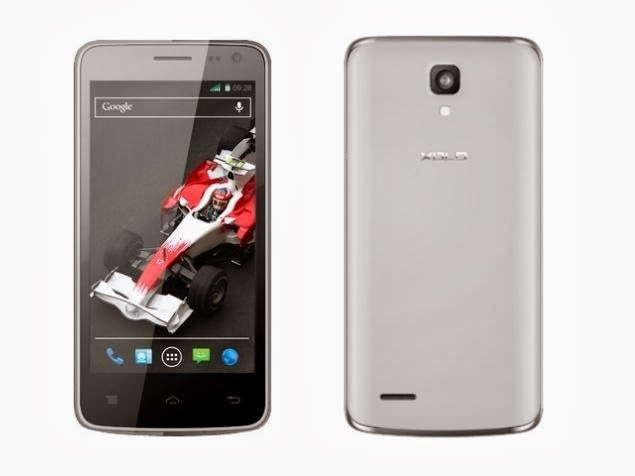 Another smartphone to rock in India market, but with not too good and bad specifications. I am talking about XOLO Q700i. The device comes with 4.5 inch capacitive display with One Glass Solution OGS technology (in normal mobile phones, there are two screens: one for touch and other for outer but this is having only One Glass) which is IPS display with qHD resolution of 540x960p resolution. The display seems to be nice. I would give it 3.5/5 because it could be 5 inch and HD display, anyway, it's good for the people who want moderate screen size. For gaming and multitasking, the device have been provided with 1.2 GHz ARM Cortex-A7 MediaTek MTK 6589W-M Chipset, and yes, it's Quad-Core device (4x performance) and for gaming, you get PowerVR SGX544 processor to process games, but it would be better if it had Mali-400 because it's much better than PowerVR X544 chipset. There's 1 GB RAM added in this device which is great. The device is running on Android 4.4 KitKat that old OS Android 4.2 Jelly Bean but we think XOLO will release Android 4.4 KitKat update for XOLO Q700i because they are already planning for many other devices. Q700i supports Dual-SIM support with Dual Standby (3G and 2G). The mobile has 8 Mega Pixels camera at the back of this device along with LED flash to capture good pictures at nice but the flash is not good means not much bright. And it can record videos up to 720p HD resolution also it has many other camera functions like: Auto Focus, Touch-to-focus, Image Stabilization, Scene Detection and Tuning, High Dynamic Range (HDR), Low Light Enhancement, Face Recognition (Yesh, that works in Gallery too! ), Panoramaic pictures, Geo-tagging. It has BSI sensors (Back Side-Illuminated sensor) for capturing and projecting good pictures. There's a 2 Mega Pixels camera on the front side of the device for video chatting and all. Finally, XOLO picked up the point! This is the pros of this device because the battery is 2400 mAh and is said that it can provide more than 15 hours of talk time on 2G and 10 hours on 3G and the standby is more than 370 hours. Having an internal storage of 4 GB (2GB for internal SD Card, 800 MB for applications and other for other partitions of this device) this device can handle many applications and can store your games too, but if you think that the internal memory is less for you then you can expand it upto 32 GB via SD Card. The phone has 2G, 3G, WiFi, Bluetooth, HSDPA, 21 Mbps; HSUPA, 11 Mbps Wi-Fi 802.11 b/g/n, Wi-Fi hotspot Bluetooth 3.0 with A2DP etc. The price will be different from place to place but on the FlipKart you can buy this device for Rs 10946 (or 11 thousands). There are many additional stores like Amazon, Homeshop18, Saholic etc. which may reduce the price after some time. And Yeah! Cheerful New Years to our readers and fans! Stay tuned for more news and updates.